“Nouvelle Prague Showcase Conference has firmly established itself as a fixed autumn meeting point in our diaries and we are glad to see how it’s been shaping, forming and growing over the years. One thing is for sure – the original idea of keeping it a familiar boutique type of event remained the same, and we are thrilled to see the many friends and colleagues starting their November with a friendly round in our foggy town” Marton Naray (Nouvelle Prague Conference Director*). Nouvelle Prague is the first-ever showcasing festival in the Czech Republic, held in the heart of Prague and for the 3rd consecutive year, Georges Perot will attend on behalf of MESO events to the event panels and workshops, but also representing the European Music Day Association (EMDA) and the European Live Music Association (ELMA) as he will also moderate a very interesting panel concerning the development of Music event organizers and municipality. Topic as described by Nouvelle Prague organizers includes issues such as “What is the money that festivals bring to cities through different sources of income, and how does tourism and all the industry share and recycle this profit. Is there a sustainable way to regenerate the income through cultural support systems, or at least tax cuts for cultural investors? Can we recreate, and shape society with events that carry a message? How does an event message refer or clashes with political agendas and finally how can it all be linked to an art concept – the first thing when engaging attendees. 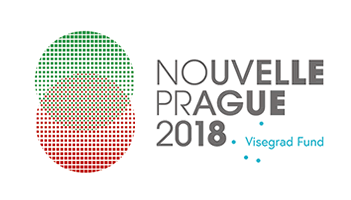 More about the conference panels and programmes at Nouvelle Prague webpage. *Nouvelle Prague is a member of the ELMA Initiative and Mr Marton Naray is one of the historic co-founding members of the Association and a member of the European Music Day Association.